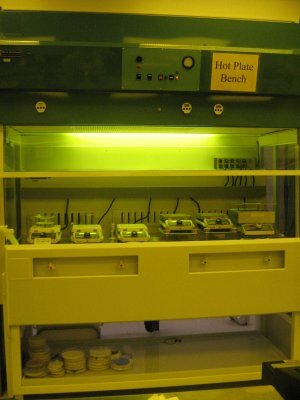 The hot plate bench is a laminar flow fume hood. Currently available are 2 aluminum hotplates and 3 ceramic hotplates with stir function. A nitrogen gun is available in this hood.